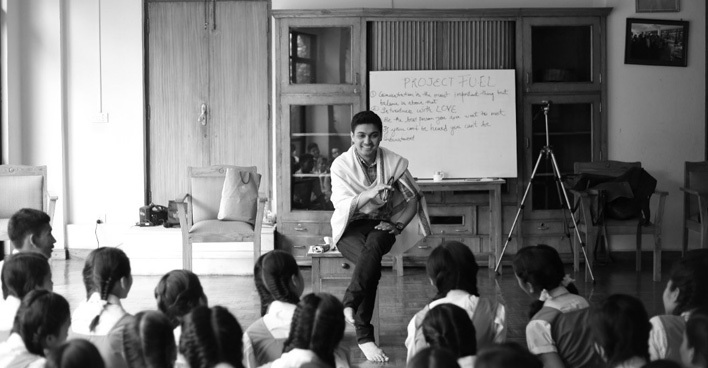 Meet the 26-year old Deepak Ramola, a young leader who works to transform life lessons and philosophies into innovative ways of learning. He is the Founder and Artistic Director of Project FUEL and was a speaker at UNESCO’s World Philosophy Day event #Youth4Philo. Read his story and get inspired. Youth represents a substantial part of Project FUEL efforts to empower rural and urban communities around the world. Deepak thinks that the only way forward to a strong future is to convince youth that they have the power to create it. 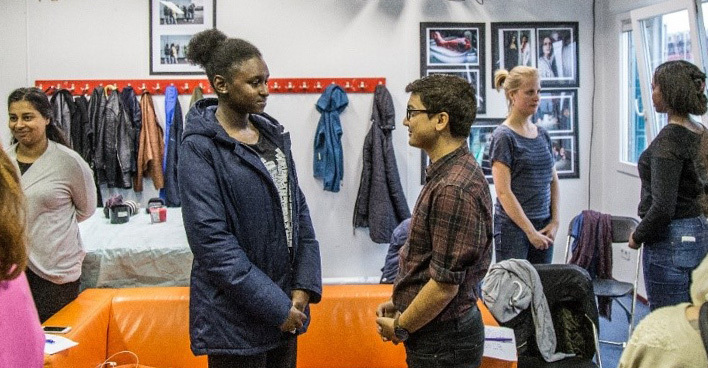 Deepak works on various initiatives in the framework Project FUEL and each of his projects aim at shaping belief systems, breaking stereotypes and harnessing the collective power of youth in different communities. To name a few, the ‘Wise Wall Project’ aims to document, design and paint rural wisdom by drawing upon young energy mines from all across the world to celebrate and honor the learnings of rural community. Through his initiative ‘Under the Hijab’, he motivates young people across the world to look at women wearing hijabs not as a threat but as an inspiration to people who have held onto their cultural roots. Through the project called ‘Out of Syllabus’, young students at schools are being encouraged to acknowledge the learnings of their teachers and ask about their life lessons. The UNESCO Youth Programme works to ensure that talented young people’s ideas and skills enact real change in areas related to UNESCO’s fields of competence. Youth are no longer just beneficiaries in the organization’s work, but essential actors in finding the solutions to some of the world’s biggest challenges.